Budget supermarket Aldi has launched vegan burgers - which are said to 'bleed' beetroot juice. 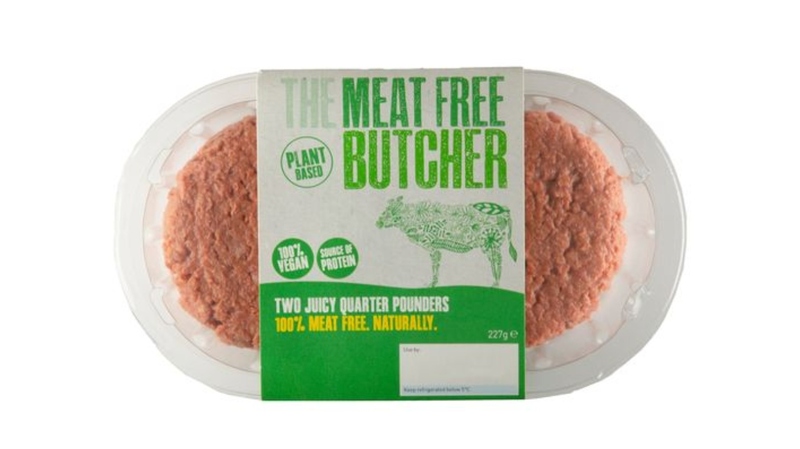 The Meat Free Butcher Quarter Pounders, which are said to look and taste like traditional beef burgers, are made from soya protein. The patties, which took 12 months to develop, cost £2.50 for a pack of two. The new burgers are just one of a range of vegan products Aldi has added to its shelves in recent weeks. On January 2, the store expanded its plant-based offering significantly. New own-brand products launched include Rainbow Vegetable Stew (£2.19) and Paleo Wholefood Bars (£1.99, 5 pack). Vegan productsProducts Aldi started stocking made by other companies include Hellmann's Vegan Mayonnaise (£1.79) and Flying Goose Sriracha Mayonnaise (£1.49). "Want to get involved in Veganuary in 2019? Well now the challenge is even easier, thanks to supermarket Aldi's vegan range available in stores from January 2," a spokesperson said to Plant Based News. "With Aldi's everyday amazing prices, you can rest assured that you're getting unbeatable value for money, whatever your food choices."